Based on the research of Professor Yogesh Surendranath: Students are exposed to the electrochemical processes that underlie renewable energy storage and recovery. 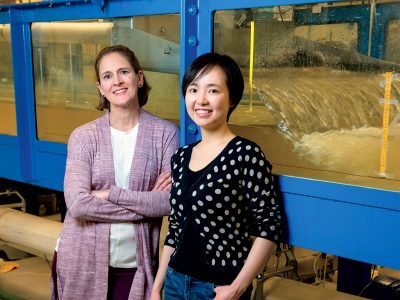 They will investigate charge transfer reactions at electrode surfaces that are critical to the operation of advanced batteries, fuel cells, and electrolyzers. The basic theory behind inner- and outer-sphere charge transfer reactions at interfaces will be developed and applied to construct mechanistic models for important energy conversion reactions including the reduction of oxygen to water and the reduction of protons to hydrogen gas. Students will also synthesize new catalytic materials for these reactions and investigate their relative performance. Related:Why New Undergraduate Chemistry Labs? Undergraduate Research Inspired Experimental Chemistry Alternatives (URIECA) modules last for only a few weeks, allowing students to fit three or four into each semester. In Module 8, small groups of students meet twice a week for up to four hours per session. Each lab session starts with a pre-lab lecture covering a foundational aspect of electrochemistry lab work relevant to that day’s experiment—for example, reading and interpreting a cyclic voltammogram, which researchers use to understand a molecule’s electrochemical properties. 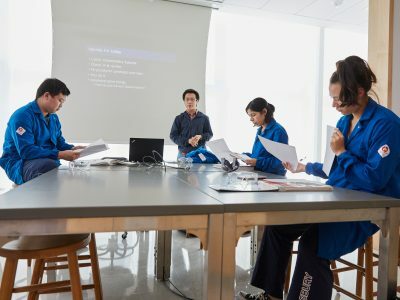 The teaching assistant encourages students to move beyond rote memorization to a deeper understanding of how these fundamentals apply to broader lab work. By conducting experiments based on work pioneered in Surendranath’s lab, students prepare different electrochemical reactions that are the basis for modern batteries and other energy storage and recovery devices. They work in the new Chemistry Undergraduate Teaching Laboratories located in the new MIT.nano building. 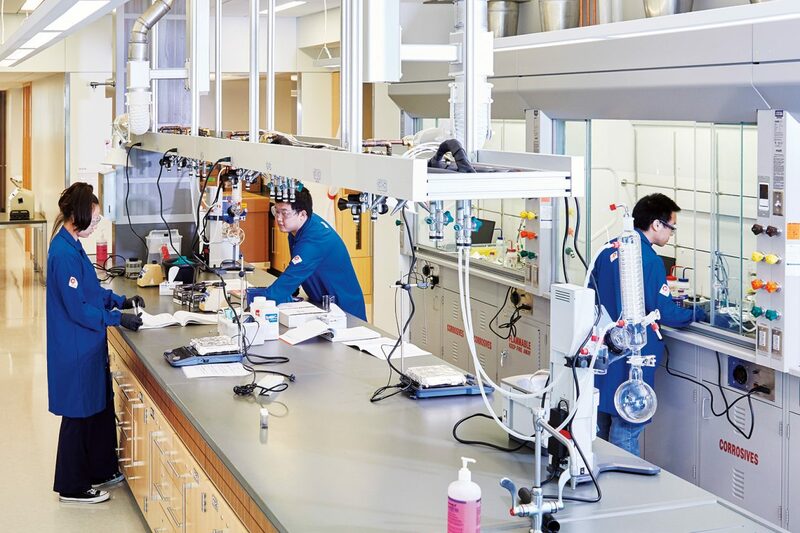 The advanced facilities in MIT.nano enable faculty to introduce a new level of exploration to the lab work so that students can consider the nanoscale properties of the materials they synthesize. 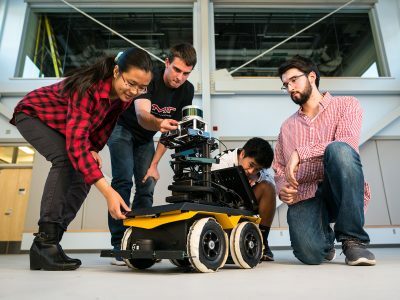 The work students do in URIECA labs can inspire an Undergraduate Research Opportunities Program (UROP) project, either through a new relationship with a professor or by catalyzing an idea for a line of research. The techniques the students learn and employ will give them an edge both in internships and the workforce.